Ochanoko Photo is an application for managing photos via your iOS device. More and more people are taking high quality product photos for their stores using their phones, and the app is designed to make it easy to do just that. 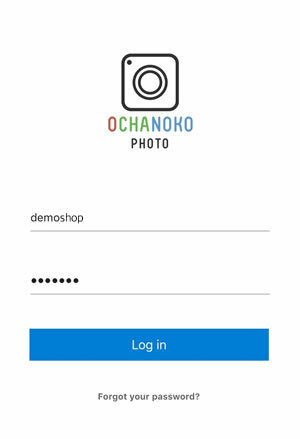 With Ochanoko Photo, you can upload images from your phone directly to the Ochanoko Shop Manager, on multiple Ochanoko accounts. ※Click here for Android version. You can download Ochanoko Photo from the App Store. Open the app and enter your account ID and password, and click Log In. After logging in, you'll be sent to the list of photos. You'll see a list of folders and images. 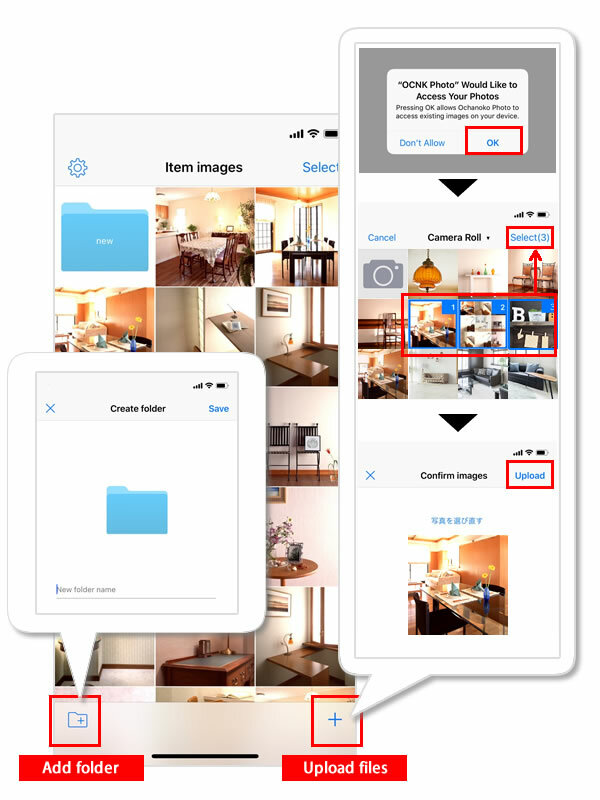 Tap a folder to view what's inside, tap an image to zoom in, and swipe right and left to see different zoomed-in photos. 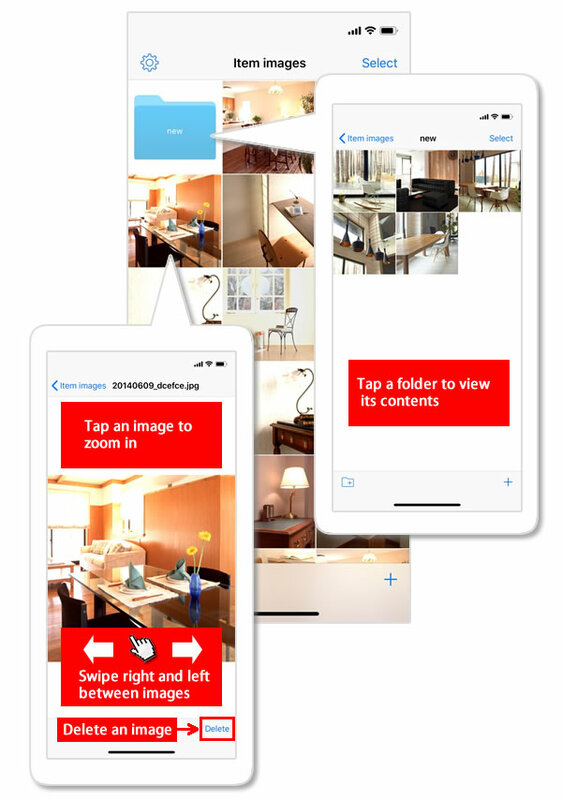 You can also tap Delete to delete a selected image. Tap the + folder icon in the bottom left corner to bring up the Add Folder dialogue. Enter the folder name and click Save. Upload photos by clicking the + icon in the bottom right corner. 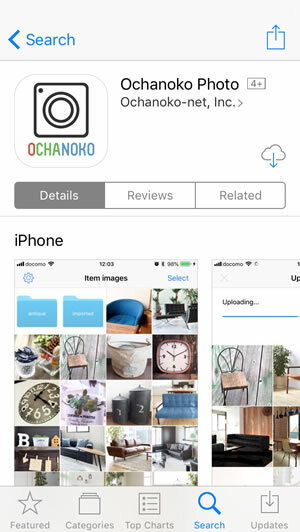 Press OK to grant Ochanoko Photo permission to access your photos, and then you can select multiple images from the camera roll and click Upload. Tap Select in the top right corner of the screen and tap images to select them. destination folder. Files will be moved to the folder. After selecting some files, click Delete in the bottom right, and go through the confirmation dialogue to delete the selected files. Tap the gear icon in the top left corner of the screen to open the settings page. 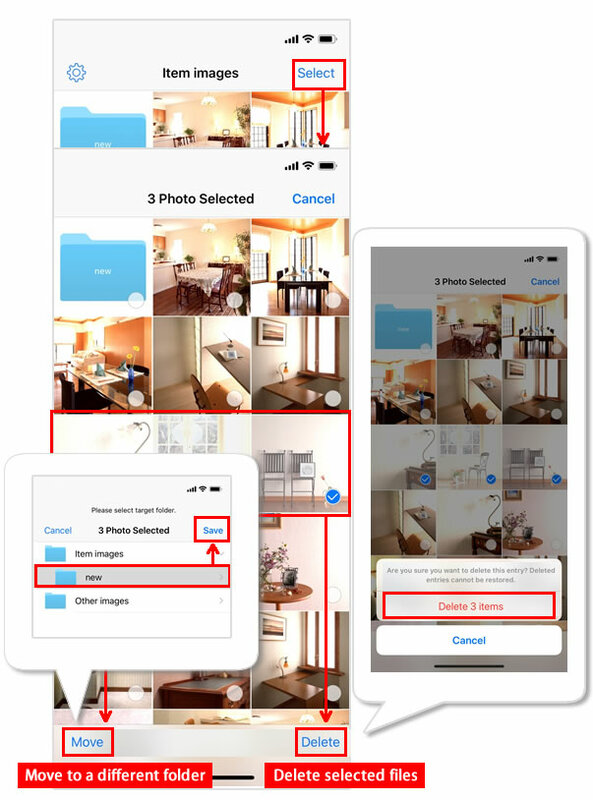 Folder Select between the Items and Content folders. Contact us Send us an inquiry via our inquiry form if you have any questions. Select account Change accounts or add another Ochanoko account to log in with.